Are you Choosing a Safe Newborn Photographer? You have several photographers in mind. You've compared their styles and their pricing. You've asked them about what products they offer and checked their availability. But have you asked them how do they make sure your baby is safe at all times? This is your little angel you're handing to them, so you want to make sure you're choosing a safe newborn photographer. What should you ask them? I've always said that, for me, safety is paramount while working with your little newborn baby. But unless you've been my client and seen me work, it is hard for you to know that I do what I preach. In this blogpost I'll share with you some of the measures I take to guarantee your baby's safety, along with what questions you should ask your newborn photographer. Being part of APNPI is a commitment to safety. Recently, they released their Safety Course and I'm proud to say that I completed it successfully. This course trains the photographer in topics like the newborn's physiology, important environmental considerations, how to communicate with parents and some other general safety information. Babies are not only tiny humans. Their body works different from ours and we have to know and understand those differences in order to handle them in a way that won't harm them or put them at risk. What to ask your photographer: Ask about their training and if they're members of any association. Their answer will allow you to identify a professional from an amateur. Newborn babies have a very fragile immune system. A cold for us could mean serious pulmonar issues for a newborn. That's why being up to date with immunizations is very important when working with babies. I'm up to date with all recommended vaccines like HEP B, MMR and Td/Tdap and I get the flu shot every season. What to ask your photographer: Ask for their most current immunization records. They should share them with you gladly. About two years ago -right before I launched Lemonshoots- I took a CPR certification with AHA. This year, I decided that I needed to specialize in infant CPR to be ready for any emergency involving my tiniest clients. I took the class last month and although I hope to never have to use the tactics provided, I'm at ease knowing that I'm aware of how to act in case of an emergency mid-session. What to ask your photographer: Ask how would they address any emergency situation. 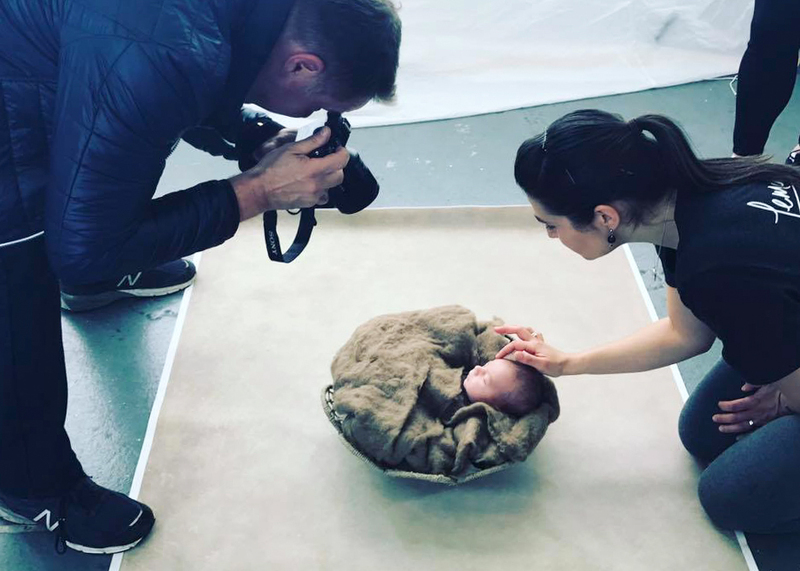 Knowing Infant CPR is not essential, but you want to make sure that your photographer won't panic and will know what to do in case something happens. 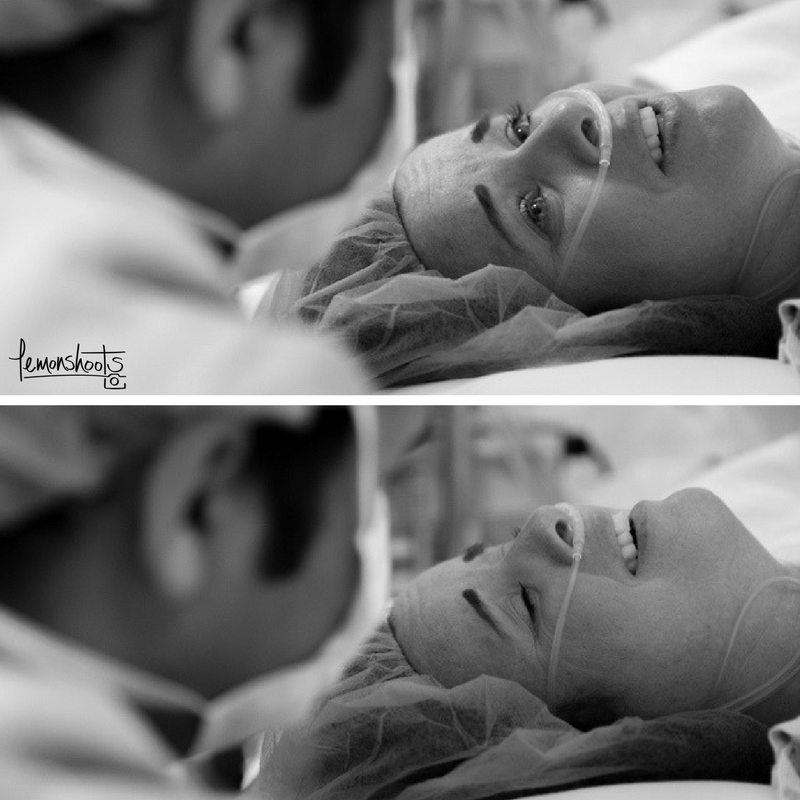 Many final newborn images you see online are flawless and beautiful. You might wonder, how did the photographer achieved them? Some poses might seem like babies are defying gravity or that they are balancing by themselves, when in reality these looks are obtained thanks to post-processing and compositing. There are poses that are more challenging than others. Not knowing the limits of the newborn physiology can put your baby in a dangerous situation. A professional photographer poses with this in mind. But they also have to know their software too, in order to get stunning final results. What to ask your photographer: If you see any picture in their portfolio that shows the baby balancing by themselves, ask them how they achieved it. Babies can't hold their heads upright. When in a photo he seems like he does, there is always some kind of support that's erased later in Photoshop. Baby should never be held mid air. For this pose, he is laying safely on the beanbag. The wrinkles of he fabric are eliminated during post-processing, creating the illusion that he is up in the air. To achieve this pose, the photographer must know how to composite two images. In this example, we use the upper part from the first photo and the bottom part of the second photo to show baby resting his head on his hands, but the truth is that he was being supported at all times. Finding a photographer that has a style that is appealing to you and that has fees that fit your budget are important. But now you know that considering safety when booking your newborn photographer is of supreme importance too. Ask your photographer about it. Our industry will be safer with your help, when you, the parents, start demanding safety measures. Now you're informed on what you need to know, so go ahead and start searching for the perfect photographer for you! If you want to learn more about Lemonshoots' newborn sessions, click here. Your bundle of joy is coming soon and you’ve booked a professional newborn photo session. Congratulations! You won’t regret investing in your memories. But now what? It is normal to have questions and to be unsure of what to expect. All babies are different, but being prepared can be the difference between a frustrating session and a perfect one. Here are five ways to prepare for your newborn session that will help you and your photographer get the most out of it. There's a lot that goes behind a Newborn Session. Telling your photographer what you want and expect, along with any important information, will help her plan accordingly. This blogpost has been featured in APNPI's website (Accredited Professional Newborn Photographers International). This site is a great resource for parents looking to hire a newborn photographer. Last week was pretty busy. After the workshop with Ana Brandt I came back home with a lot of images to edit and a very long To-Do list. I've been tackling down some items in that list and now I'm ready to launch my first Newborn Model Call. As I mentioned in previous posts, since the beginning of 2016 I've been increasing my prop collection including new baskets, blankets and adorable newborn outfits. It's time to put them to the test together with the posing techniques I learned at the workshop. There are only a few spots available, so if you are interested or know someone who might be, please email me and share this post with them as soon as possible. I look forward to meet you and your beautiful new bundle of joy!